This entry was posted in Contemporary Photography and tagged Brigitte, Contemporary Photography, Gallery Artist, Image, New Artist, Photographer, Photographers, Photographs, Photography., World Portfolio on July 23, 2010 by VERVE Gallery of Photography. This entry was posted in Contemporary Photography and tagged Contemporary Photography, Gallery Artist, Image, Images Gallery, Lightning Strikes, Maggie Taylor, Magnificent Obsession, New Images, Photographer, Photographers, Photographs, Photography. on July 6, 2010 by VERVE Gallery of Photography. This entry was posted in Contemporary Photography and tagged Contemporary Photography, Gallery Artist, India Image, India Portfolio, Nevada Wier, New Artist, Photographer, Photographers, Photographs, Photography. on June 3, 2010 by VERVE Gallery of Photography. 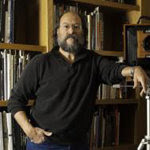 Verve Gallery of Photography is pleased to announce gallery artist, David Scheinbaum, has been selected for the 2010 Governors Awards for Excellence in the Arts for Photography and Art Education. New Mexicos highest artistic honor was announced May 5, 2010 by Governor Bill Richardson and First Lady Barbara Richardson, along with the New Mexico Arts Commission, and presented to ten artists and arts supporters. The 2010 Governors Arts Awards ceremonies will be held on Friday evening, September 24, 5:15 to 7:00 pm at the St. Francis Auditorium, New Mexico Museum of Art in Santa Fe. The ceremony is preceded by an afternoon reception and exhibition opening, 3:30 4:30 pm, in the Governors Gallery, 4th Floor, State Capitol. Both the awards ceremony and gallery reception are free and open to the public. Exhibition at Governors Gallery in conjunction with the awards ceremony. I am honored to pay tribute to some of New Mexicos finest artists and art supporters through the Governors Awards for Excellence in the Arts; these men and women have made major contributions to our economy, tourism industry, education and quality of life, said Governor Richardson. The Governor’s Arts Awards were established in 1974 by Governor Bruce King and First Lady Alice King to celebrate the extensive roles both economic and cultural that artists, craftspeople and arts supporters play in the life of New Mexico. During its 37-year existence, a diverse and prestigious list of painters, weavers, sculptors, dancers, musicians, storytellers, poets, actors, playwrights and potters have been honored. computer fix . Nominations for the awards are invited each year from arts groups and interested New Mexicans. All nominations are reviewed by a committee of the New Mexico Arts Commission, which sends its recommendations to the full Commission and to the Governor and First Lady. Photographer and teacher David Scheinbaum of Santa Fe has been making photographs since 1974 and teaching his art form since 1979 at the College of Santa Fe and with numerous photographic workshops. He is currently professor/chair of the Photography Department and director of the Marion Center for Photographic Arts at the College of Santa Fe. Scheinbaum is also respected as an authority on the art and history of photography. lower back pain . He worked with the preeminent photo historian Beaumont Newhall from 1978 until Newhalls death in 1993 and continues as co-executor of his estate. In 1980, he and his wife Janet established their Santa Fe photography gallery, Scheinbaum & Russek Gallery, Ltd. Today, the gallery, which represents the estates of both Newhall and Eliot Porter, continues to show the work of photographers such as Ansel Adams, Edward Weston, Minor White, Sebastiao Salgado, Laura Gilpin, Willard Van Dyke, Walter Chappell and many others. His own photographs are represented in public collections throughout the world, including the Amon Carter Museum in Fort Worth, Texas; Norton Museum in West Palm Beach, Florida; Metropolitan Museum of Art in New York; J. Paul Getty Museum in Santa Monica, California; the Bibliotech Nationale in Paris, France; and the New Mexico Museum of Art in Santa Fe. His books include Stone: A Substantial Witness and Images in the Heavens, Patterns in the Earth: The I Ching, both published by the Museum of New Mexico Press. Scheinbaums current photographic work concentrates on documenting Hip-Hop music and culture. An exhibition at The National Portrait Gallery of the Smithsonian Institution in February 2008 was titled, Recognize: Hip-Hop and Contemporary Portraiture. In her letter supporting his nomination for the Governors Award, Georgia OKeeffe Museum educator Jackie M wrote, David finds time for ideas and for people and seems to derive great energy from making photography and its rich history available to the general public. This entry was posted in Contemporary Photography and tagged Afternoon Reception, Alice King, Art Education, Artist David, Arts Awards, Arts Groups, Awards Ceremonies, Contemporary Photography, Craftspeople, Gallery Artist, Gallery Reception, Governor Bill Richardson, Industry Education, Lady Alice, Lady Barbara, Lady Photographer, New Mexico Arts, New Mexico Museum, Opening 3, Photographer, Photographers, Photographs, Photography., Public Exhibition, Tourism Industry on May 25, 2010 by VERVE Gallery of Photography. This entry was posted in Contemporary Photography and tagged Contemporary Photography, Gallery Artist, Image, Jane Martin, New Artist, Photographer, Photographers, Photographs, Photography. on April 26, 2010 by VERVE Gallery of Photography.